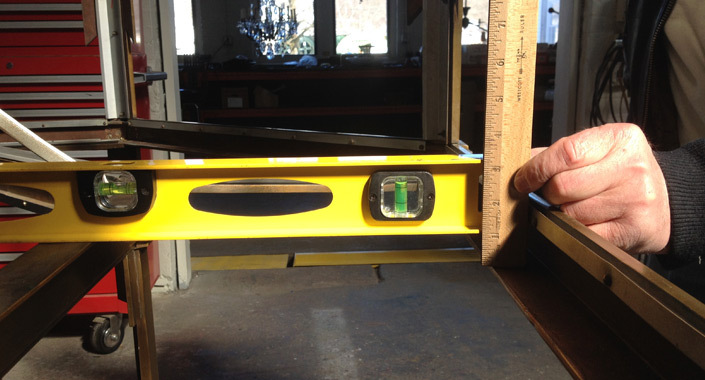 General Contractor Campus Construction Management Group Inc. 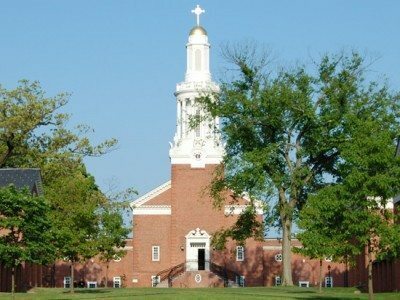 The Clyde-Savannah Central School district is located midway between Rochester and Syracuse and includes portions of southeastern Wayne County and northwestern Seneca County. 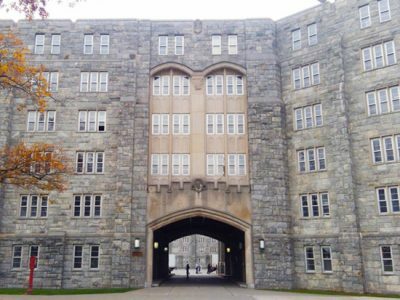 The building was built in 1940 as a Federal Works Agency public works project apart of President Franklin D. Roosevelt’s Reorganization Act of 1939 as a means to create jobs during the Great Depression. 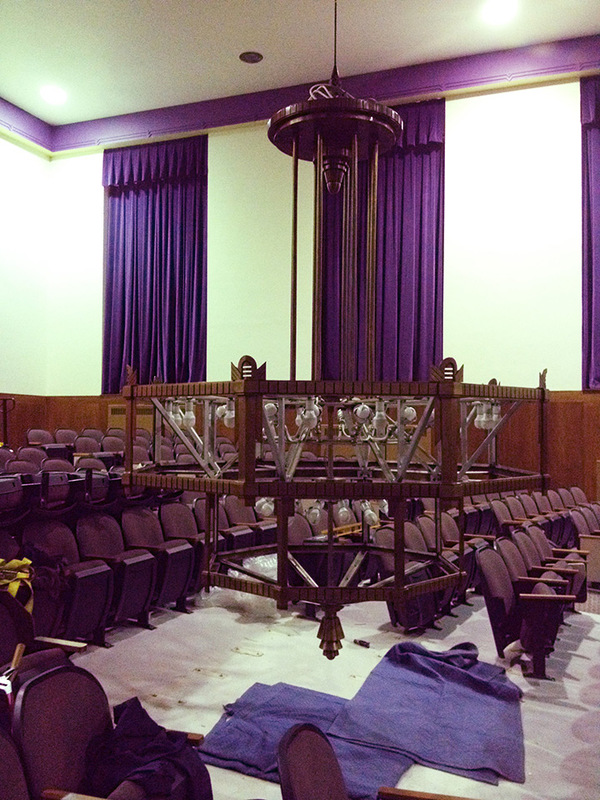 Grand Light was selected to restore this massive aging chandelier for the Clyde-Savannah School district. 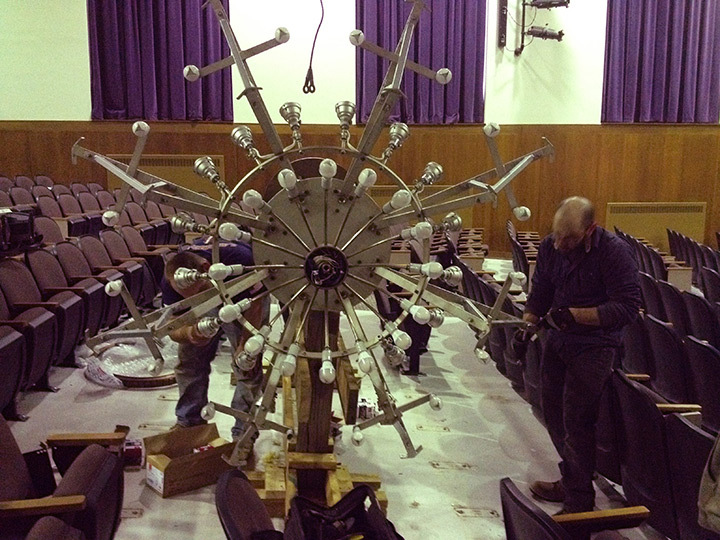 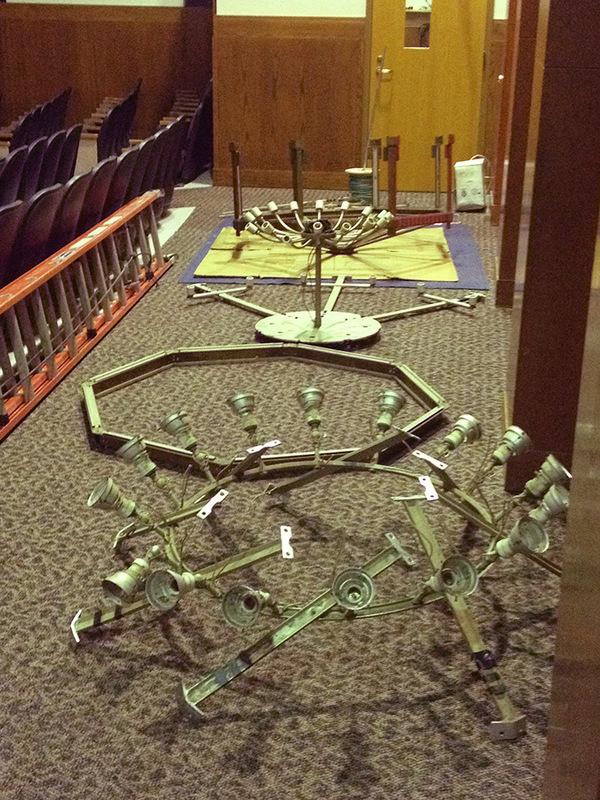 This chandelier hangs in the school’s auditorium and is 10′ tall x 8′ wide, and is estimated to weigh over 1,200 pounds. 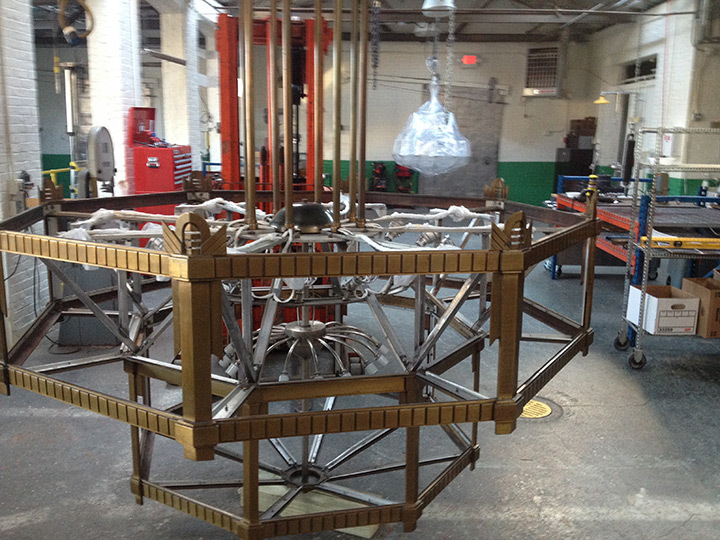 This chandelier was dismantled and packaged on site by Grand Light artisans and was transported back to Seymour, Connecticut. 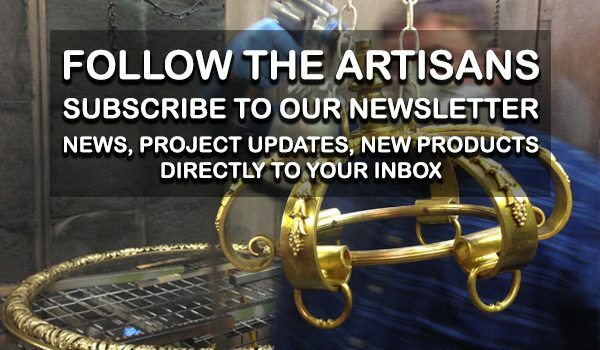 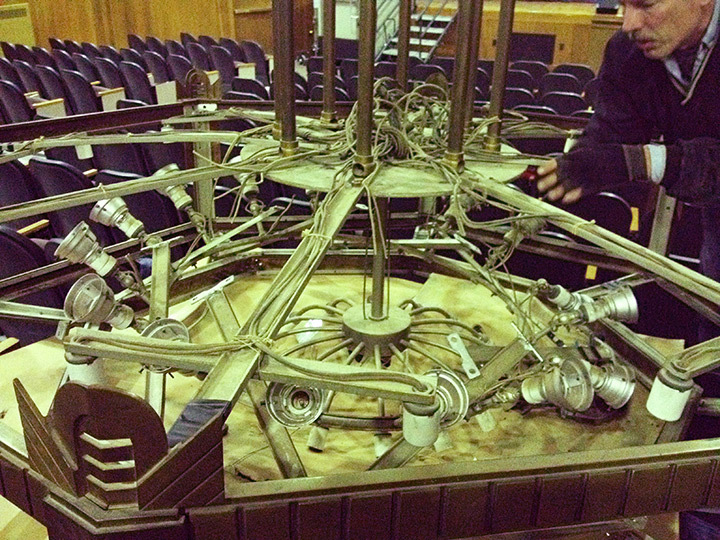 This 88 year old cast bronze chandelier was cleaned, rewired and received a protective wax on the bronze components. 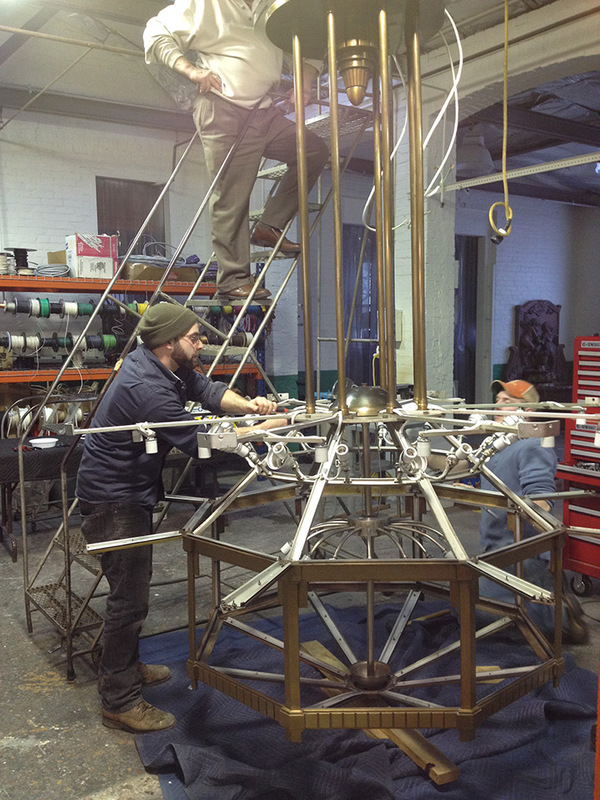 In addition to the cleaning, re-wiring, and waxing of the chandelier, it was discovered that the chandelier was suffering from major mechanical defects in the frame, causing the bronze upper ring on the chandelier to have 1″ of sag. 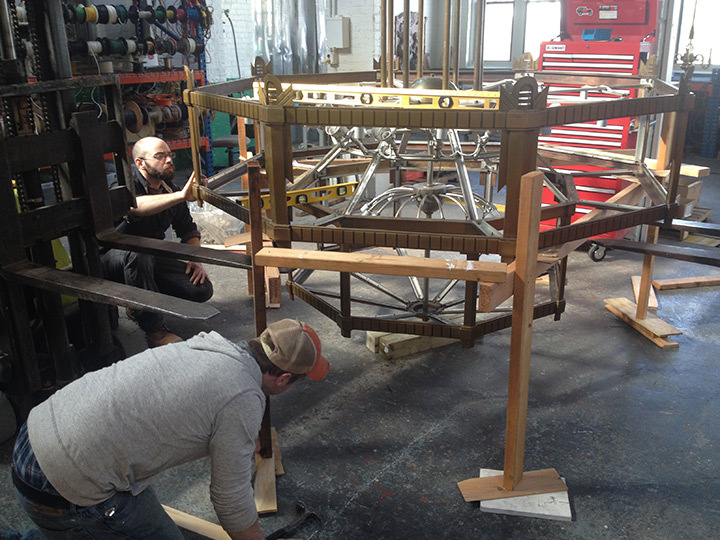 Grand Light designed and fabricated custom structural braces which were made of steel, eliminating all current and future sag in this fixture. 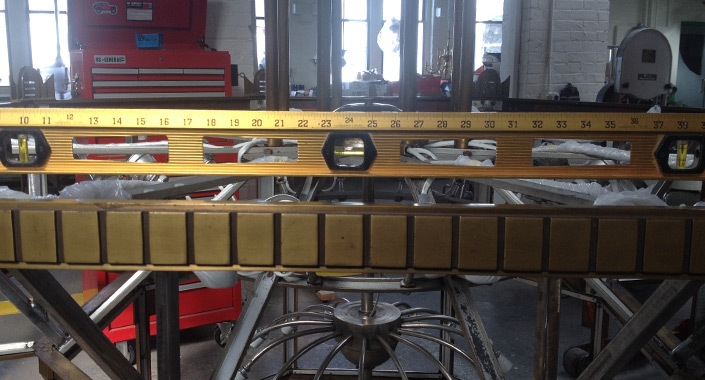 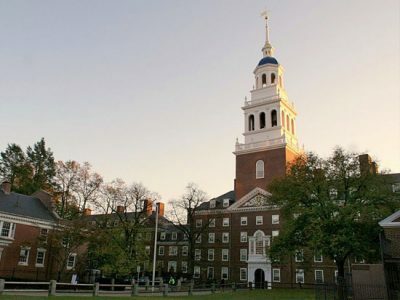 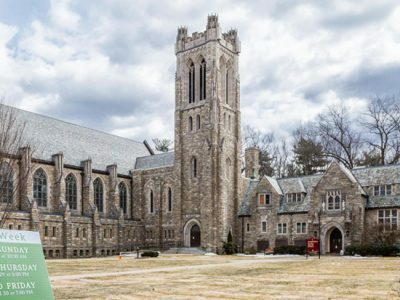 The new braces were then painted using a custom mixed Sherwin Williams paint which matched the aluminum color of it aging counterparts and each piece was lacquered using incralac to offer addition protection to the finish. 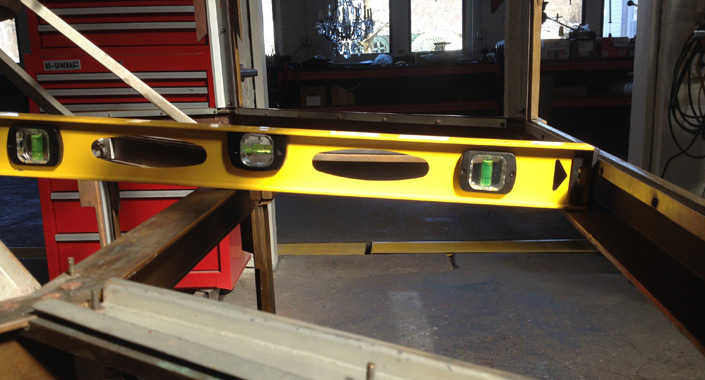 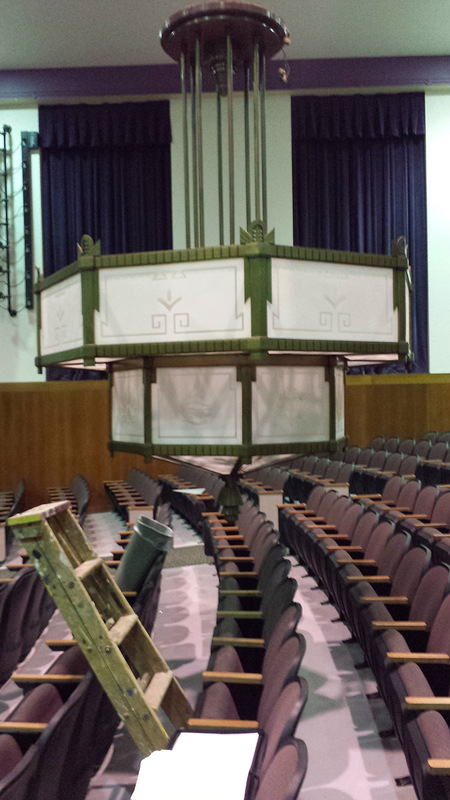 Once the fixture was square, it was then broken down once again and crated for transport back to the auditorium where it was re-installed by Grand light artisans. 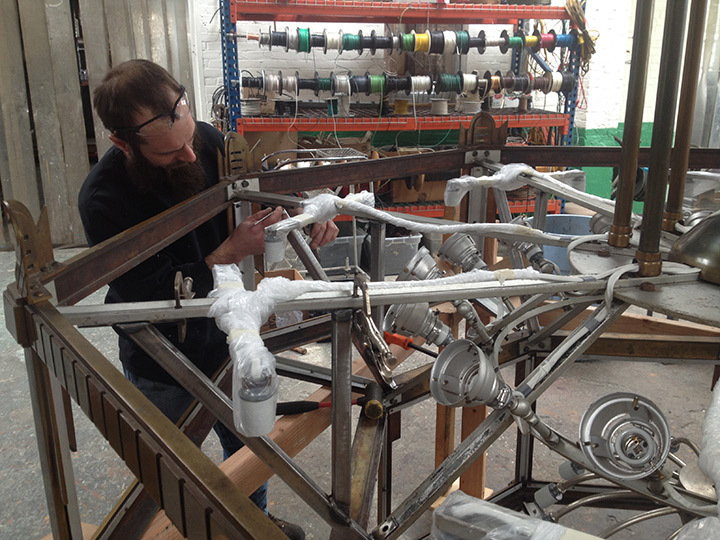 A Grand Light technician drills a hole in the frame of the chandelier to install a custom brace for additional structural support.